Minister Hoffman and residents of Martha's House celebrate funding for a new continuing care centre in Lethbridge. The 100-unit facility is being built by Covenant Health and will include a mix of designated supportive living spaces, including units with supports for people with dementia. Clients will live in home-like suites and have access to supports and services that meet their changing health needs as they age. 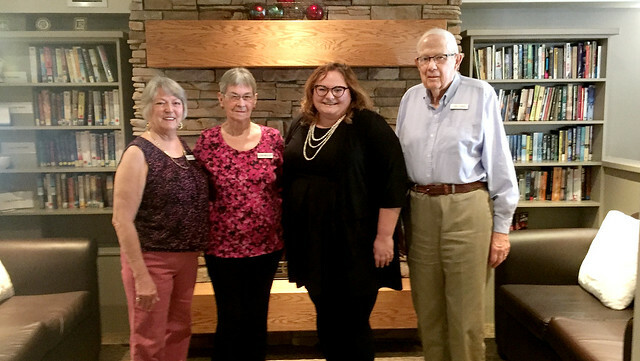 Lethbridge has been identified as a priority area in need of more continuing care spaces for its growing seniors population and people with complex health needs. The facility will be built in a new development on Lethbridge’s growing west side. Covenant Care has started design and development work on the new facility and will continue to engage with the community as the project progresses. The new continuing care facility is expected to be ready for occupancy in fall 2022. Government’s new continuing care capital grant funding program, Building Communities of Care, focuses on developing continuing care spaces where they are needed most. In Budget 2018, the province allocated $221 million over five years to increase capacity for continuing care in Lethbridge and across the province.